We have fruit flies. We know that they aren't sewer flies, and they only swarm around the ripe bananas. They are a pain, and we have done all those home remedies that you see on Pinterest -- but it's still not enough! 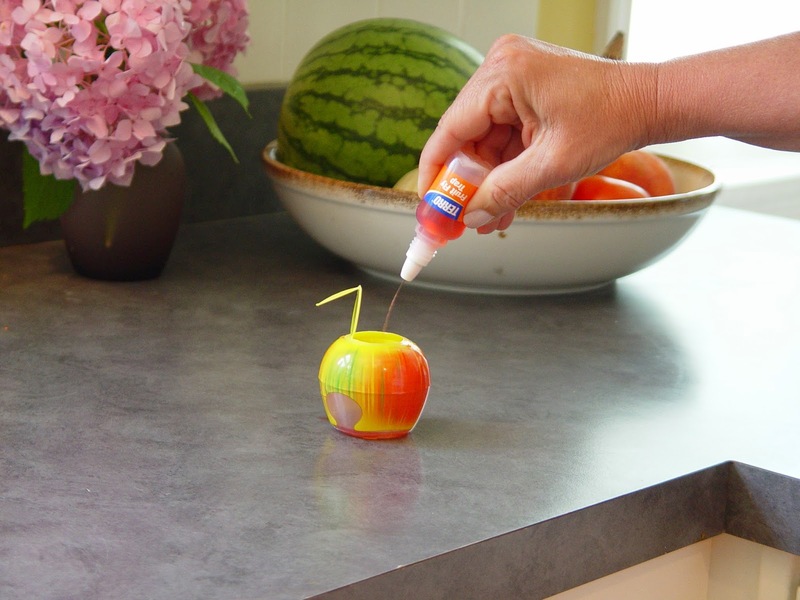 If having glasses of vinegar and other home-made traps has you disgusted, a commercial alternative like TERRO® Fruit Fly Trap might be for you. It is Non-Toxic and takes seconds to set up. Just put it near where you see the flies, such as by unrefrigerated fruits and vegetables, near garbage cans and recycling bins. 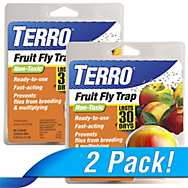 The non-toxic acetic acid found in the TERRO Fruit Fly Trap lures the flies to the traps and eliminates the infestation. The traps retail for about $7.99. Find out more info at their website or on Facebook! Wanna Win? We are giving away a special 2-pack of these traps. To be entered to win, just tell us where you see fruit flies in your home! You have until September 13th at 11:59 pm CST to get your entries in. One entry per person. U.S. 18+ only.